They didn’t earn the title of ‘man’s best friend’ for nothing. Most Australians know what an assistance or guide dog is, but ask them what an emotional support animal or therapy dog is and they often won’t know the answer. An emotional support animal is a companion animal for a person living with an intellectual, psychological, or physical health challenge or disability. 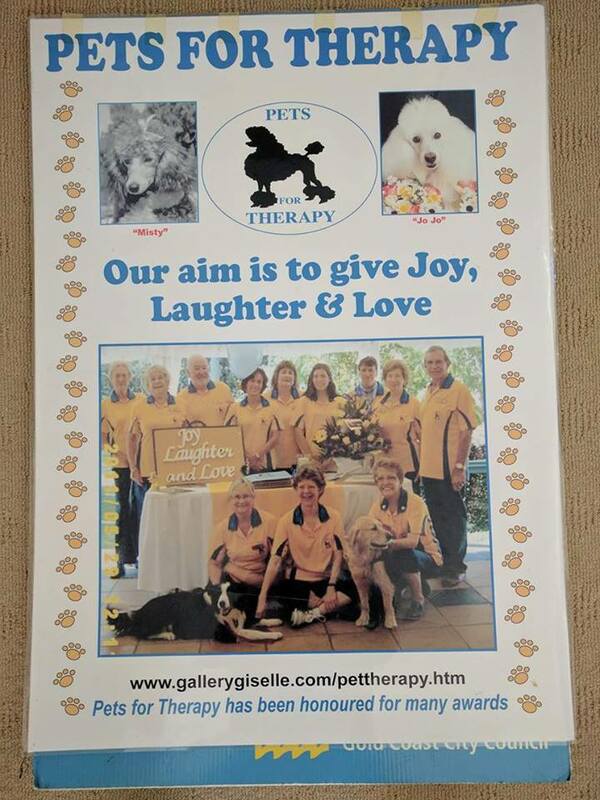 This covers a huge plethora of people Australia-wide and most of the time their support animal is a dog. The animal is often task-trained, however, their most important function is to support and empower their human companion emotionally. Then there is the wide array of charities and volunteer groups across the country that dedicate their time to training dogs to provide therapy for those living with disability, hence, therapy dog. Founder of A.W.A.R.E. 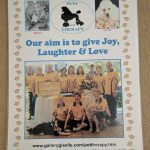 Dogs Australia Inc. Che Forest, a not-for-profit registered charity which provides assistance and therapy dogs to individuals, who are ill or living with disabilities says there are many benefits provided by support animals. He also reveals confidently one other important factor many don’t realise. 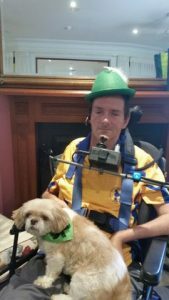 “It creates positive social interactions for people with an assistance dog that they often won’t receive otherwise,” Mr Forest said. However, living with an assistance or support dog has its difficulties which are, unfortunately, usually due to public ignorance. It is not uncommon for someone with a visual disability to be refused taxi service or someone who is socially challenged to be refused seating inside a restaurant. 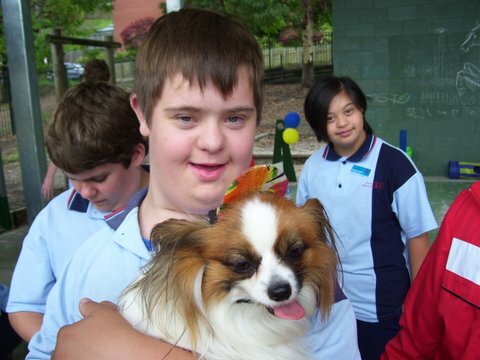 Further, someone with an intellectual disability can be refused accommodation and all due to the accompaniment of their assistance or support animal. While federal legislation exists to protect people with disability from discrimination, the wording of such laws is crucial. Discriminating against someone for their disability is punishable by law, however, it is not always the case that a person or business will be punished for refusing a service to a person with disability based on them being accompanied by a dog. For those who don’t require a personal companion for day-to-day life, there exists many charities and volunteer groups that train therapy dogs. Such groups take well-trained dogs around to hospitals, hospices, nursing and care homes, and schools to brighten the day for their pupils, patients and residents. People with severe physical or intellectual disability are often bound to a home or institution for a majority of their life; rarely, if ever, being allowed to leave. For such people who require constant nursing or monitoring, there often isn’t much to look forward to during the day. 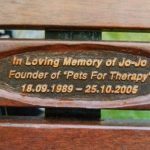 This is where support and therapy dogs play such an important role in their lives. They provide a welcome and uplifting experience. 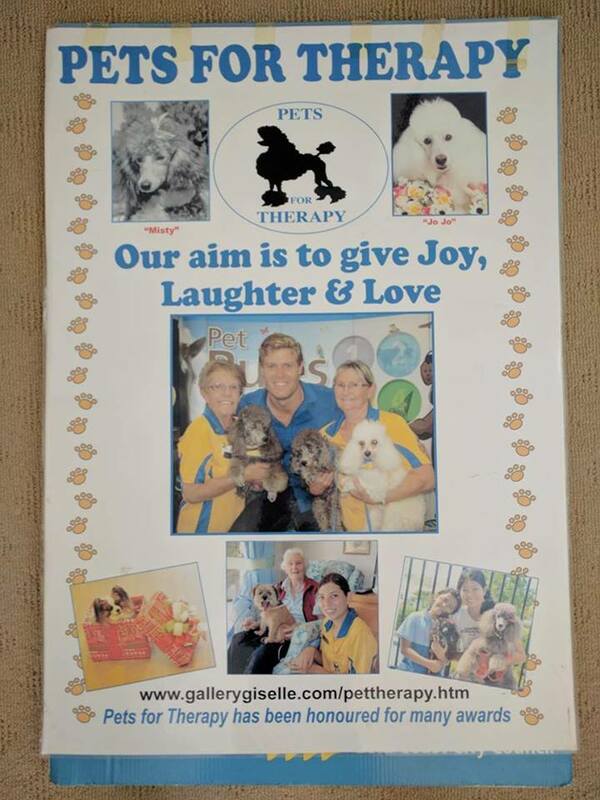 Pets for Therapy signboard. Source: Mitchell Cornish. 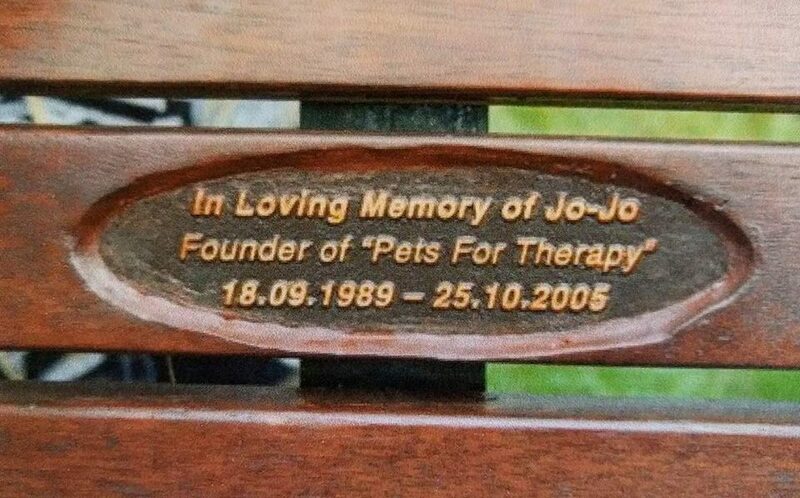 Plaque in honour of Pets for Therapy, located at James Overall Park. Source: Mitchell Cornish. 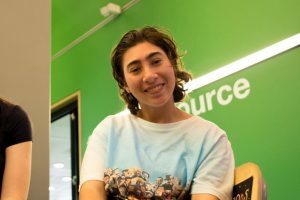 She recalls how the dogs at Pets for Therapy were so well trained that when visiting classrooms for children with special needs, they would wait patiently for children with physical disabilities to pick the ball up and throw it, no matter how long it took. She remembered the animals had a wonderful sixth sense when dealing with the different needs of people. Groups like Pets for Therapy don’t just empower people with disability, they also welcome them into their ranks. 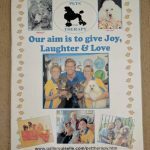 Some years back at Gold Coast Pet Expo, a young man Tony, who was left a quadriplegic at a fairly young age after a car accident approached Pets for Therapy. He wanted to join them as a volunteer with Bruce, his Shih Tzu. Tony and his Shih Tzu, Bruce. Source: Yvonne Cody. Bruce was six-years-old and spent all his time on Tony’s knee to comfort him. The Pets for Therapy team enthusiastically welcomed Tony and Bruce into the group including his two primary carers. During one Pets for Therapy dog training night, when Tony arrived, Bruce came running in and jumped over the first of the training course’s hurdles after spending many sessions sitting and watching. “Well if you’d seen Tony’s face he was just ecstatic, like a proud father,” Ms Cody said. 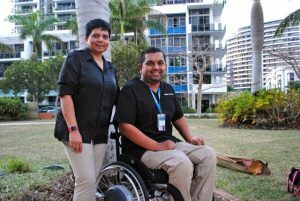 From that point onward, Bruce learnt a lot of tricks, and not only was Tony getting therapy, he was also setting a positive example for the disability community through his volunteer work. “Tony looked forward to his visits. Before he started pets for therapy he just didn’t want to get up for the day, he had nothing to get up for; and yet the days he came to work with pets for therapy he was up, showered and ready to go as early as possible.” Unfortunately, Tony passed away in May this year. He was 54 years-of-age, one of the longest living paraplegics. Assistance and support dogs are an immeasurably positive asset to the disability community. They support and empower their companions in many ways that humans simply cannot. 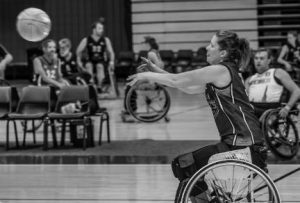 It is important that the hard work of the people and animals in such charity and volunteer organisations is recognised and celebrated so that they can continue to change and empower the lives of people living with disability for many years to come. If you or someone you know could benefit from a support animal, you can contact A.W.A.R.E. Dogs Australia Inc at http://www.awaredogs.org.au/ or Assistance Dogs Australia at http://www.assistancedogs.org.au/ for more information. If you would like to donate to A.W.A.R.E. Dogs, please visit their website and click on the ‘Donate via PayPal’ link.